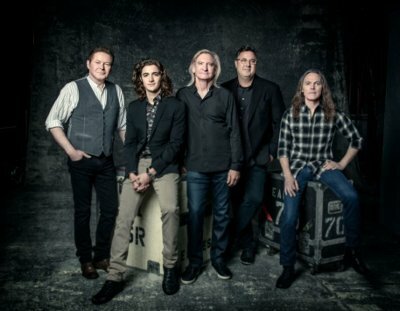 There's a juicy rumor for Eagles fans swirling around today and it's courtesy of their guitarist Joe Walsh. We didn’t know if we could do it, so we had to try. Glenn’s son said okay and stepped up, he’s 23 and he’s great. He doesn’t know he’s great but he’s great, and that really helped us spiritually. Then we got Vince Gill and he filled in that ghost voice in the harmonies, and he’s a brilliant musician. So we rehearsed and I was really nervous about, but we played a couple shows and got great reviews and it just felt right onstage. It felt great. So we took a deep breath and recommitted and yes, next year we’re going to play between 40 and 50 shows. It sure feels good to play our music for people again, and they know the words better than we do. Then, the band's manager, Irving Azoff, talked with Best Classic Bands, telling them that the Eagles would be touring in 2018 and also letting the cat out of the bag that, for at least a few shows, Jimmy Buffett would also be on the bill. Commenting on a date at Coors Field in Denver, he said “an Eagles/Buffett celebration up in the mountains there. We’re just talking about a handful” of shows although the number of Walsh's rumored 40 to 50 dates that will be with Buffett is not known.